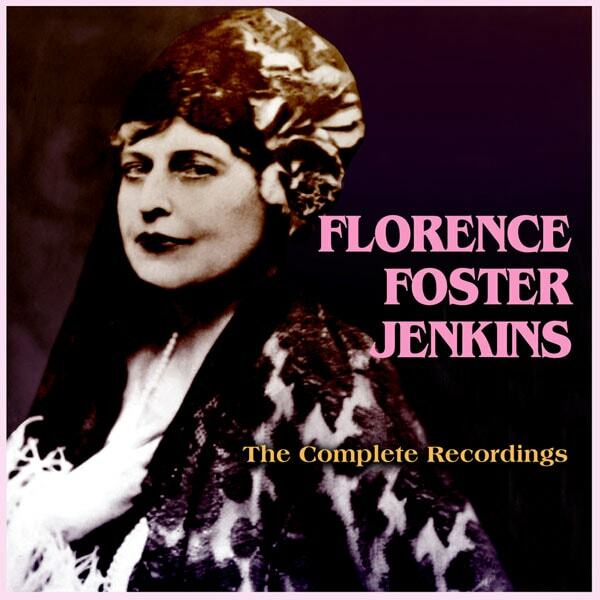 Florence Foster Jenkins was a New York socialite who, despite being a hopelessly incompetent 'singer', believed herself to be an operatic soprano of note. She performed for invited audiences at recitals for thirty years until her death in 1944, just weeks after her only public performance at Carnegie Hall attracted an incredulous response. She was unable to pitch a note accurately or hold a tune, nor did she have any sense of rhythm or timing, and this collection of the private recordings she made in the early 1940s admirably portray her singular lack of talent. She acquired a cult legendary status over the years, to the extent that in 2016 a high profile feature film biopic is being released, starring Meryl Streep and Hugh Grant. This release contains all the pieces she consigned to disc, comprising coloratura arias from well-known operas along with contemporary art songs, two written by her regular piano accompanist Cosme McMoon. It is simultaneously astonishing and hilarious, and for once the description of "unique" is amply justified. 35 minutes on one CD.